Because pallid sturgeon populations are limited in number and declining, with rare natural spawning and insufficient recruitment, the Pallid Sturgeon Recovery Plan recommends a propagation program as a short-term recovery objective to perpetuate the species until habitat modifications can occur to allow natural spawning and recruitment. 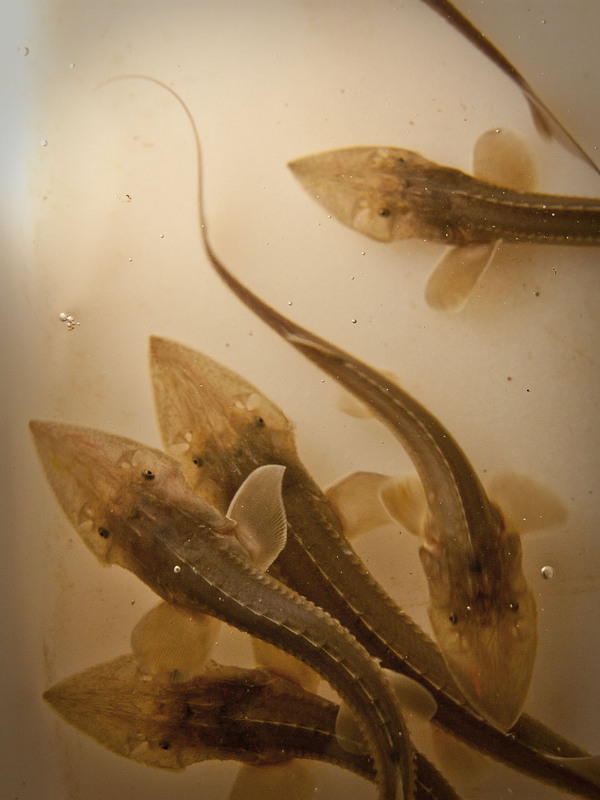 Implementation of the pallid hatchery program began in 1992 when pallid sturgeon were artificially propagated at Blind Pony State Fish Hatchery (SFH), Sweet Springs, Missouri. The captive broodstock population that will serve as the source for gametes and fish when wild populations are no longer able to provide viable fertilized eggs was started in 1992 at Gavins Point NFH, Yankton, South Dakota, from fry from the matings created at Blind Pony SFH. Gathering at the confluence for a day on the river of spring broodstock collection. Spring snow storm during broodstock collection. Three adult Pallid Sturgeon caught during broodstock collection. 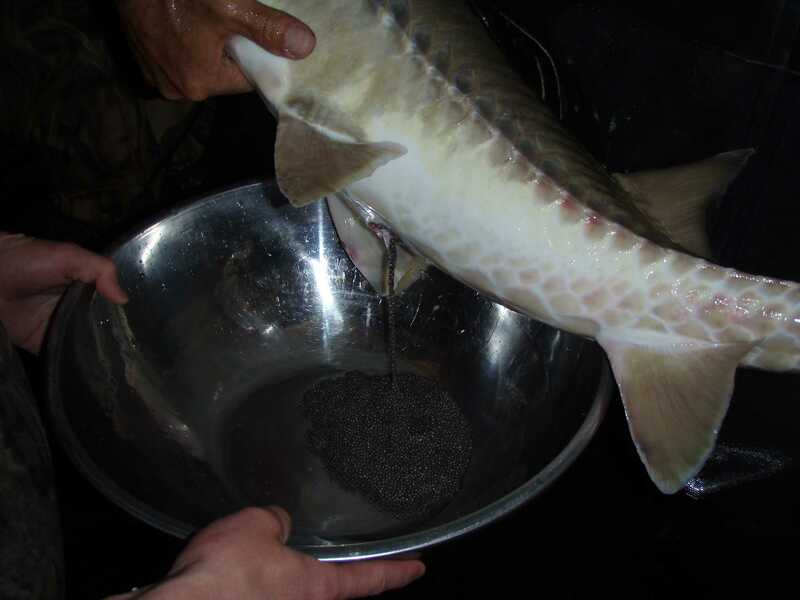 A lack of information about the distribution, movement, and timing and location of spawning, together with ineffective capture techniques and gear, hampered initial attempts to obtain wild pallid sturgeon brood fish. The first attempt to spawn streamside took place in 1993, but high flows that year created problems with sampling efficiencies and no female pallid sturgeon were captured. Captured pallid sturgeon brood fish were brought into Miles City SFH, Miles City, Montana, in April 1995. The inability to produce fertilized eggs from this effort was attributed, in part, to the reliance on the spawning protocol developed for the white sturgeon. The next successful spawn of wild pallid sturgeon occurred during 1997. Since the first stocking in 1998, nearly 400,000 hatchery produced pallid sturgeon have been released into the rivers of the Upper Basin. Only genetically pure pallid sturgeon will be used for establishing the captive broodstock and for restoration stocking. All propagation of pallid sturgeon will occur under the authority of an Endangered Species Act Section 10(a)1(A) permit or sub-permit. The Propagation Committee recommends that, if successful, fall collection of wild adult pallid sturgeon be continued in addition to spring collection. Fish that have not previously contributed to the creation of progeny (i.e. “new” fish). Recaptured fish that have been spawned but are significantly underrepresented in the population of released fish or captive broodstock population. Recaptured males that have been spawned, are not represented in the cryopreservation repository. Should wild pallid sturgeon numbers decrease to the point where no or few new fish are captured, but it is determined by the Propagation Committee that it is necessary or desirable to reuse previously-spawned wild pallid sturgeon to create new, unique matings, recaptured fish may then be brought into a spawning facility. All fish that are adequately represented in the captive broodstock population, the cryopreservation repository, and at least one reestablished population in the wild, will be released immediately. The need to minimize the stress of capture cannot be over-emphasized. It is important to eliminate as many sources of stress and reduce the incidence of stress as much as possible. Streamside spawning is not currently considered to be practical for the large numbers of fish collected in RPMA 2. Because of the small numbers of fish typically collected in RPMA 1 and because it is not now recommended to move fish from RPMA 1 into hatchery facilities in RPMA 2, streamside spawning will continue in RPMA 1. Spawning facilities will have filtered, disinfected (UV or ozonated) water supplies to improve water quality and reduce pathogen loads. Handling and human contact should be minimized as much as practical to reduce stress and injury. It is important that captured pallid sturgeon be given the opportunity to feed during captivity. Signs of disease, behavioral changes, changes in feeding patterns or extreme loss of body weight will initiate contact with fish health personnel. 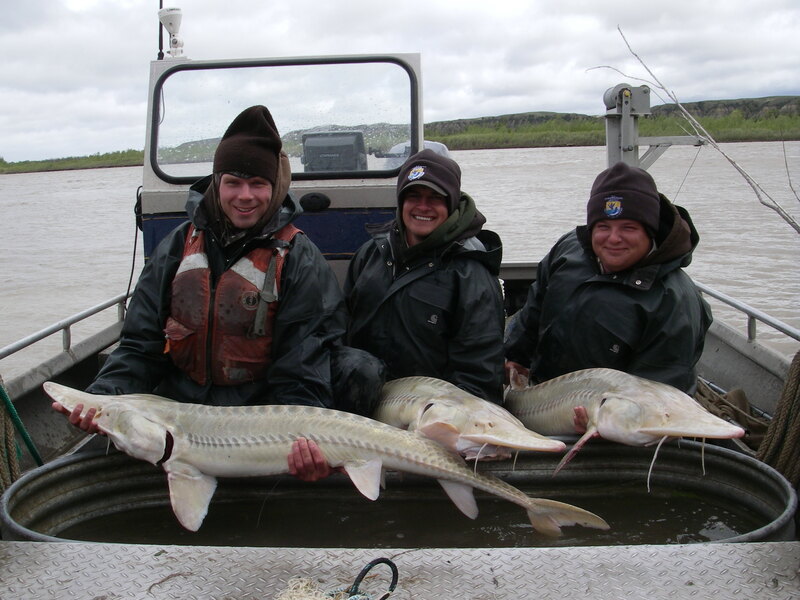 Experience indicates that the recommended temperature range for spawning pallid sturgeon is 62-68º F (17-20º C). Immediately after spawning is completed, water temperatures should be gradually reduced 5-7º F (3-4º C). When an adult pallid sturgeon becomes moribund, or upon the death of an adult, the Recovery Team Leader and a regional fish health biologist must be notified. While 1♀x 4♂ crosses are recommended, the actual number of families created to produce four families per female may exceed four. Determination of the number of crosses created is made by the hatchery manager at each spawning facility and will be based on the situation at the time of spawning. RPMA-specific stocking plans will indicate how many progeny will be stocked per female. Microsatellite analysis is used to determine the suitability of captured pallid sturgeon as potential donors. Monitoring Polarity Index, performing Progesterone Assays, and observation of the color differentiation of the animal and vegetal poles of the oocyte as it approaches ovulation have all been used to determine the proper time to induce final ovulation. Although a suitable temperature range for spawning pallid sturgeon is 62-68º F (17-20º C), it is preferred that water temperatures throughout the spawning process should be maintained at approximately 63º F (17º C). Eggs are expressed from the females by hand-stripping. The use of catheterization to express the eggs from a female is not condoned as a standard practice. Post-spawn adults will be returned as soon as they are determined to be healthy enough and the receiving waters’ temperatures are adequate. It is in the best interest of the fish to release them as soon as possible and all efforts will be made to expedite their release. The manager of the hatchery holding the post-spawn adults will make the final determination of whether the adults can withstand the additional stress of transmitter implantation. Instead of tagging post-spawn pallid sturgeon adults, it is preferable to tag adult pallid at other opportunities. The final protocols for the Gavins Point NFH broodstock will be determined once fish have become sexually mature. The acceptable temperature range for incubating pallid sturgeon eggs from adults collected in Montana and North Dakota appears to be 55-65°F (13-18°C). It is recommended that 65°F be considered an upper bound for the successful incubation of pallid sturgeon eggs. The Propagation Committee has established maximum rearing densities of .5 lbs./ft.2 for fingerling pallid sturgeon and 0.7 lbs/ft2 for yearling pallid sturgeon. The preferred temperature range for intensively cultured pallid sturgeon should be considered to be 43-70°F (6- 21°C). It is recommended that fish be kept on feed year round. Over-wintered pallid sturgeon should be kept at or above the temperature at which they are observed to stop feeding (40-45°F (4 – 7°C)). 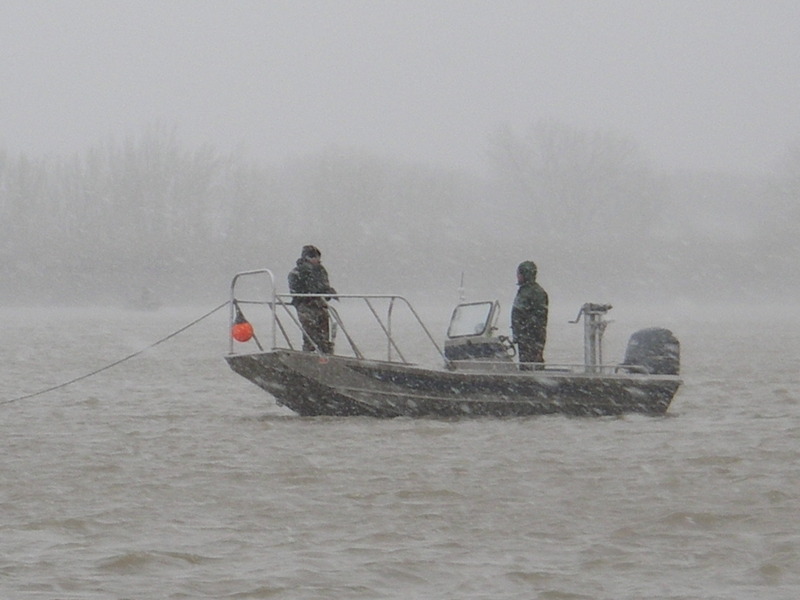 If a facility cannot keep its over-wintered pallid sturgeon above the minimum recommended temperature, it is recommended the fish be stocked in the fall. It is unwise to significantly retard or accelerate the growth rate of pallid sturgeon by manipulating rearing water temperatures to or beyond the limits of the preferred temperature range. All operations involving the handling or manipulation of young pallid sturgeon should be performed to minimize stress as much as practical. 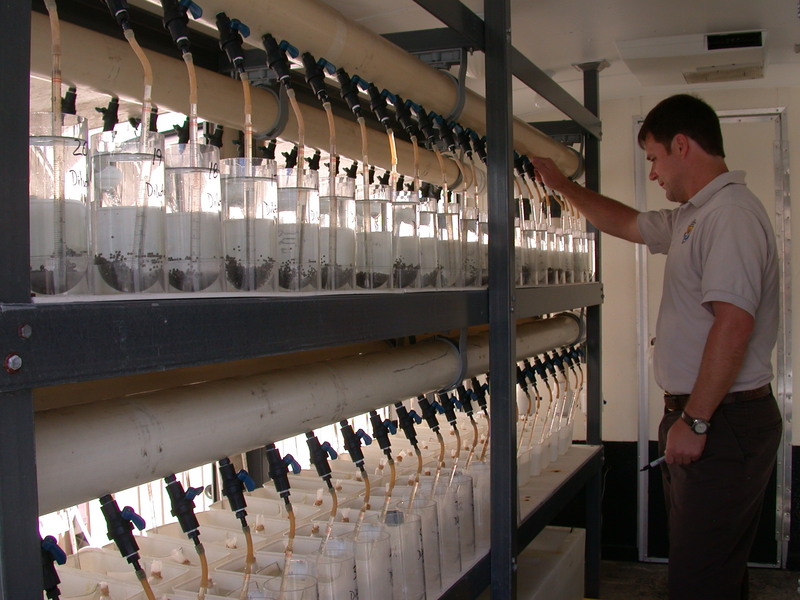 The numbers of fish to be stocked into an RPMA or incorporated into the captive broodstock population will be determined by stocking plans. Hatchery-to-hatchery transfers of fish are not recommended due to the risk of spreading disease to the receiving facility. The management authority responsible for the hatchery receiving fish and the appropriate state agency in which the receiving hatchery resides must be notified and approve of all fish transfers. The timing and location of stocking in any RPMA will be determined by the biologist responsible for managing pallid sturgeon in that RPMA. Stocking timing and location, the numbers and size of fish to be stocked, and the stocking goals for each RPMA will be addressed within stocking plans. Prior to their release, individual lengths and weights will be collected and recorded for each PIT-tagged hatchery-reared pallid sturgeon. 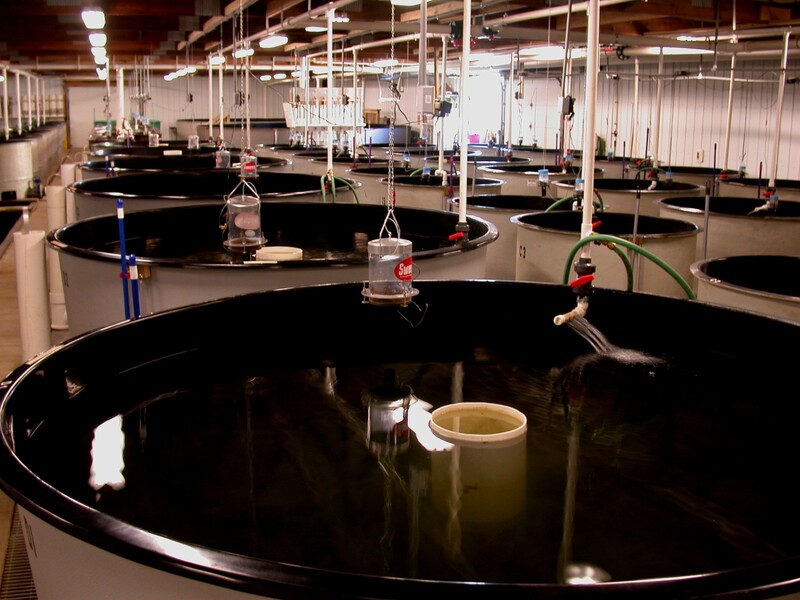 Each hatchery’s manager is responsible for sending the data collected from his/her hatchery’s fish to the biologists responsible for the RPMA into which the fish are released and to the U.S. Fish and Wildlife Service (USFWS). Management biologists will verify the accuracy of the data. The USFWS Missouri River FWMAO, Bismarck, ND. will be responsible for maintaining the database. All permits and permission from state and federal agencies must be obtained before the collection, possession, transport or importation occurs. The final decision to receive fish from any facility resides with the individual states. 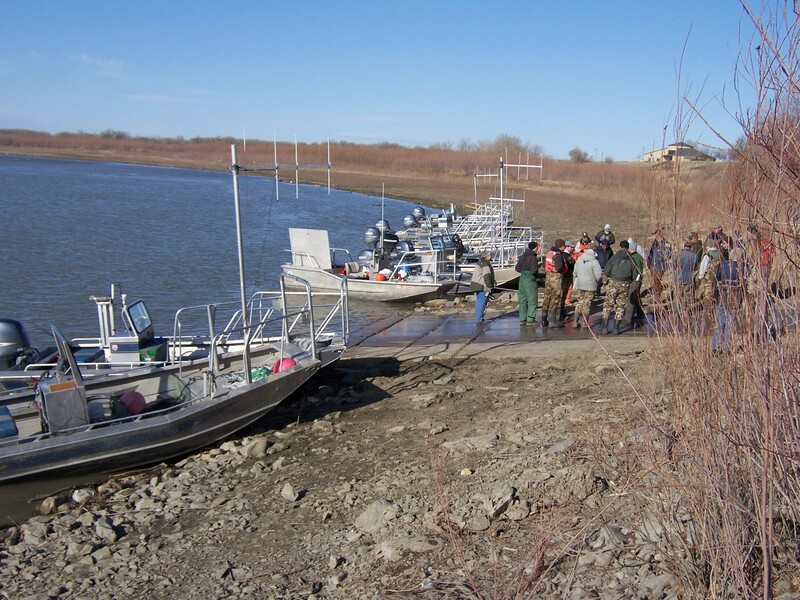 Fish health reports will be sent to all appropriate basin workgroup committee members. The Recovery Team Leader will be responsible for dissemination of this information. Acceptable Pre-release Health Assessment scores for virus severity should not exceed an average of 3.0 and liver conditions should at least average between 3 and 4. Certification for stocking will also consider a lot’s health history, mortality and signs of clinical disease. The Propagation Committee identified propagation issues that need further research, identified other program needs, and made recommendations for improving the current program.